vWork enables McLeod Cranes, Hiab & Portables Hire to win new contract. 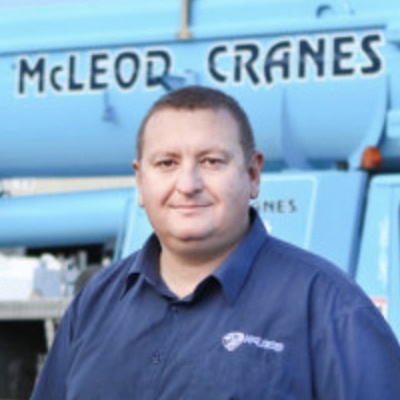 McLeod Cranes operates 22 cranes and over 40 trucks. Cranes and drivers are dispatched daily to multiple locations often having to respond to ever-changing customer timeframes. A leader in business systems development, Managing Director Scott McLeod was beginning to experience growing pains and was looking for a solution that could bring overall transparency to their dispatch team and provide real-time visibility of their jobs. Electronic data capture was a must and having an audit of who, when and what took place in real-time was the goal. vWork Enterprise was selected as it ticked all the boxes providing electronic data capture and complete auditiblity in real-time. vWork enabled Scott to seamlessly move from paper log books to an electronic system. McLeod’s have utilised vWork’s Customer Portal, enabling their clients to raise their own jobs online. The Customer Portal along with customised alerts triggered at various stages of a job has provided McLeod’s with an exceptional service offering from start to finish. “Looking back I can't believe what a transformation vWork is creating. With each day we discover new clever ways of working." "We can now spend more time connecting with our customers and understanding their needs. This new level of connection is really powerful. The team at vWork have created a tool that has harnessed the potential of a smartphone and given it real business purpose while keeping it simple. For me this is the biggest point I could pass on about vWork - it's so simple". Implementing a new product or process at any stage in a business is daunting. Scott, like any business owner had his concerns, particularly about managing the change for his staff. Having configured the system and tested it’s operation, it took only one training session with the staff at McLeod’s and they were up and running. We saw an immediate increase in revenue due to accurate time and data capture on our jobs. Dispatchers no longer need to call drivers for job updates and job clarification. vWork helped us achieve our secondary Enviro-mark accreditation. We won a substantial new contract thanks to vWork. Everyone is now in the know - we now understand the days in advance. The straightforward implementation process resulted in minimal business disruption. What were some of the key drivers behind your investment in vWork? "We were at that point of stress, wondering...what have I forgotten, have I dropped the ball this morning? All our vehicles have been GPS tracked for a number of years, but using vWork with its job step tracking and GPS integration, I was hoping to take our productivity to another level"
How have you found working with the vWork team? “The team are actively developing the solution and updates and improvements occur regularly. How did your staff take to using a new system?